Just when I thought the first crossover episode was epic, part 2 of the crossover extravaganza steals the thunder from the Flash’s lightning (okay, that was a bad pun). The case that brought Oliver and Co. (Felicity and Diggle) to Central City is still underway. Kaboomerang (as Cisco names him later) is out for revenge on ARGUS (a super research organization of the government) and specifically Lyla, Diggle’s… something ex-wife (it’s complicated). Barry and co. eventually arrive to assist Oliver in catching this killer. After “Flash vs Arrow,” I was stoked to see Barry come to Starling City (Star City???) and step into the Arrow’s hood (apologies for the horrible puns). First, I was excited to see Roy in action with the Arrow. I missed him in part 1. The episode starts off with action and getting right into the thick of things with explosions and dangerous guns being pointed at each other. Fun stuff. Arrow stuff. We find out right away that ARGUS is interested in this Boomerang man, which leads to some tension between Diggle and Lyla. But the excitement only skyrockets when ta-da! The STAR labs crew shows up to 1. Talk to Felicity 2. See the Arrow Cave? Bunker? Hideout? Cisco is hilarious walking around the premise and looking at all of Oliver’s gadgets and gizmos. And of course, Oliver’s constant “Don’t touch that” made me smile. Oh, Ollie, lighten up just a little. Please??? And then roll in the action! As Lyla and Diggle are in the ARGUS headquarters, Boomerang man, aka Digger Harkness, arrives and stirs up some trouble. His boomerangs are awesome! And he flips them around and does cool moves. Ahhh! It is so cool! Okay. And terrifying for Diggle’s sake. Anyway, Arrow and Arsenal (Roy, which I had no idea they called him that until now) go to help Diggle. Caitlin mentions “they’ll never make it in time” and my heart squeaked! Flash could make it time!! And sure enough, the camera pans back to a view of the city and a little red/yellow lightning bolt zips through the Starling City streets. I was grinning and trying not to scream out loud (because I happened to be watching the episode in a library). Flash arrives, almost knocking down Thea, Oliver’s sister, in the street, which is comical (she kind of annoys me so her startled look on her face is priceless). Barry sweeps in and catches the boomerangs from Harkness right before they slash Oliver in the face! Yes! Barry hangs out in the Arrow cave, providing more humorous lines of dialogue and moments between the Central City gang and Oliver’s team. Finally, Lyla explains what the situation with Digger Harkness is—that he was supposed to be killed years ago after a mission (oh yeah, he was part of ARGUS) and it failed so he’s come to kill Lyla out of revenge. Well, that doesn’t sit well with any of the team, so they decide to hunt him down. This exposes Barry to Oliver’s not-so-nice tactics to find out information (aka torture, which is fortified by a flashback to Oliver’s time in China with Amanda Waller). Barry is not happy about it and his view of Oliver is suddenly flipped around. I think this is probably one of the best moments of the episode. 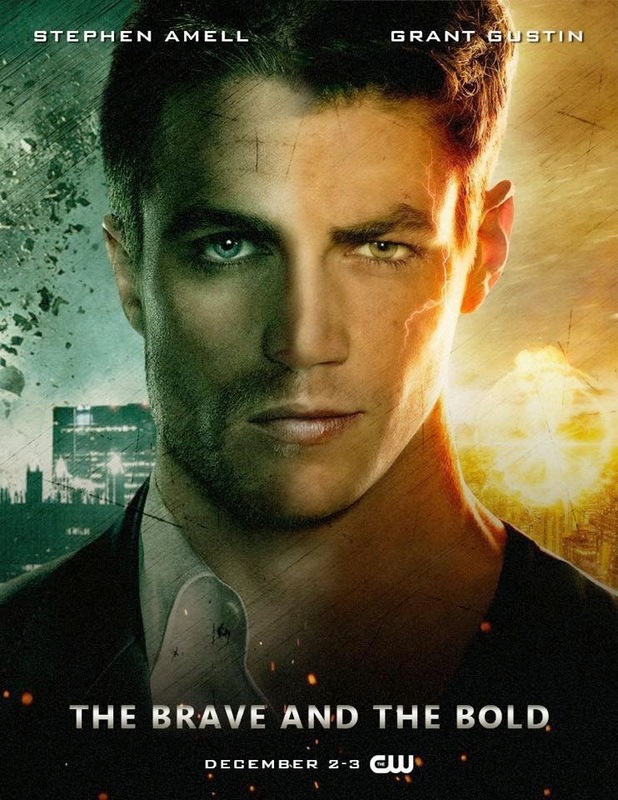 Barry confronts Oliver about the brutality he’s inflicting, yet Oliver has the opportunity to explain how Starling City is different than Central City, and how the Arrow has to approach cases differently than the Flash might. It’s a real moment that both hurts my heart but also reinforces why I adore Barry Allen. Their hunt however leads Boomerang man back to the Arrow hideout (bunker? Cave?) and he attacks Lyla, Felicity, and Caitlin! Lots of screaming (internally from me, externally from them). Lyla is vitally injured and Felicity manages to toss some kind of gadget his way to get him away. Go Felicity! After getting Lyla to the hospital, Oliver and Flash decide to officially team up to hunt down Digger Harkness, but they do it the Arrow’s way. They find Harkness in a train/subway (?) station for the Final Showdown! Dun-dun-DUH! And the way the whole ending plays out is: perfect. Only Arrow and Flash tag-teaming could have saved the day and the city. While Oliver fights Harkness, Barry has to zip off (ha-ha) to stop five bombs from exploding, sprinkled throughout the city. But here’s the catch: the bombs are linked; when one bomb gets shut off, it’ll trigger all the others. Barry voices the fact that he “can’t be in five places at once.” But then, he realizes he doesn’t have to. Ta-da! Super speed definitely comes in handy to transport friends around the city to disarm bombs. Barry escorts the members of both teams and they disarm the bombs. Then, he returns to the station to help Oliver. They defeat Harkness (and we get to see it this time) and he is sent to prison. The episode wraps up with Oliver showing a little love—well, through Felicity that is. They install a mannequin/costume container thing for Barry to stash his suit next time he’s in town. NEXT TIME. Did you hear that? There might be a next time!!! More crossovers!! Yes! Yes! Yes! I need it. And then Oliver and Barry go off together to have their own personal showdown of who would really win in a fight. Unfortunately, the episode ends right as Oliver starts shooting arrows toward Barry, who has just taken off running. But it was so good. Ack. These shows are ruining my life. Next up: the mid-season finales, both are calling for some exciting (must I say it: the agony) cliffhangers.